Outdoor family portrait photo walks, lifestyle shoots and kids wellie walks are a fantastic way to capture beautiful, playful and fun images of yourselves and the family. Maybe you are visiting the Lake District on holiday or are living nearby and would just like to capture some special moments in time to cherish forever. With the choice of many family portrait photographers in Cumbria & the Lake District offering various shoots which are often studio based, I wanted to create the opportunity to capture something slightly different and to let children be children in the great outdoors. The Lake District is the perfect backdrop with some amazing scenery that is packed with stunning locations for photography. We’ll go for a walk in the woods, around the lakes, up the Cumbrian fells or even head to the beach. We can either use a favourite location of yours or I can suggest somewhere suitable and together we’ll create beautiful, natural photos of you and your family along with some dramatic portraits if required. There are two package options for the photo-shoots, so nice and simple. The first is the digital only package where you will receive all of the edited digital images in high-resolution, these will be supplied via digital download from your online, password protected viewing gallery. You will also received a letter of image rights release, meaning you can use this images for any personal use. There is also the option to order professional quality prints and wall art directly from your online gallery. The cost of this package is £225 for a 2hr Mid-Week shoot or £265 for Weekend shoots. 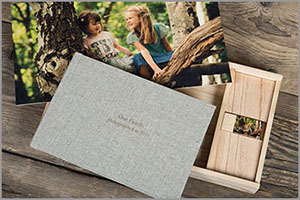 The second package option has the addition of a wooden box set with a 8” x 8” 30pg album and personalised USB. 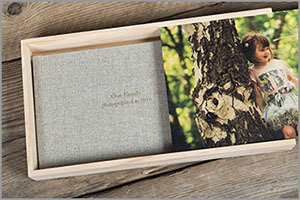 The Book & Wooden USB Box is the perfect form of digital-meets-traditional and will bring a true lifestyle feel to your family photo-shoot package. 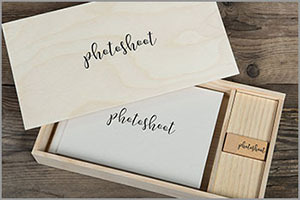 This clever combo contains a quality, photographically printed book with 30 spreads and a personalised USB stick, beautifully presented within a complimentary wooden box. The cost of this package is £425 for a 2hr Mid-Week shoot or £465 for Weekend shoots. Availability is limited, especially during the Summer months but please get in touch to find out about availability by using the form below. If you have a date in mind, what is it? Tell me a little about the shoot you have in mind?